1. 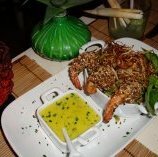 Bahian food – Fresh coconut water, coconut milk, fresh tropical fruits like Acaí, fresh Cacau, fresh fish, fresh seafood, fresh herbs combined with traditional Bahian recipes results in a delicious culinary experience. My favorite dish is Moqueca, moqueca, and more moqueca. Poached fish, shrimp, or Jaca fruit in fresh coconut milk, fresh spices, and dendê. This dish is usually served with Pirão which is made from the broth of the stew, manioc flour, plantains, rice, and salad. Mouth watering, nutritious and delicious. 2. 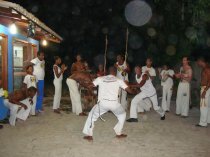 Bahian culture– Itacaré is the perfect place to take a Capoeira, African dance, drumming, or Afro Brazilian cooking class. Holidays like New Year’s, Carnival, and Sao João (2nd largest countryfest in the world) are amazing cultural experience. 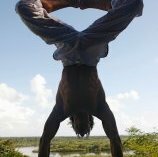 There is also a tour that you can do to a model Quilombo (runaway slave communities) where you can eat traditional dishes, watch a dance show, and learn about the local cultural history. 3. 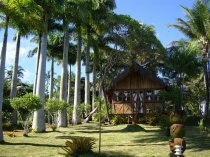 Jeribucacú Beach Tour– One of the best day excursions. 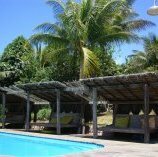 Hike through and old cacau plantation, swim in a waterfall and explore the mangroves before arriving at the beautiful Jeribucacú beach where you can order a delicious lunch and then relax all day on the beach. 4. Canoe tours on the Rio das Contas – Travel by traditional dug out canoe for a few hours on the beautiful Rio das Contas. A local guide will paddle you (you can paddle if you like but they usually do the paddling for you!) down the river, through the mangroves to a beautiful set of waterfalls that you can swim in. There are also a few great restaurants along the river you can stop at for lunch. 5. Surfing– Surfers Paradise of Brazil. A perfect place for people of all levels of surf. There are great surf schools that cater to all levels and for the more advanced surfers will never want to leave. 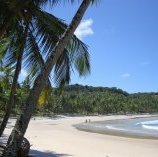 My favorite beach to surf at is Engenhoca!